Make your Athens trip unforgettable by setting on a 3-hour photo workshop in the very heart of the city centre. Perhaps one of the most dynamic, challenging urban landscapes of Europe it is sure that Athens leaves every new visitor astonished. Wanna memorialise your trip through the lens of your camera? This 3-hour Athens Photo Workshop will take you to some of the most iconic Athenian attractions and through the help of your assigned professional photographer, make sure you transfer your feelings and thoughts on your snaps. Our Athens Photo walking tour was amazing. The morning and early afternoon were spent with an amazing local photographer wandering the streets & attractions of Athens. The photography tips were great and would suit everyone from the beginner to the experienced user. Thank you for an amazing experience! I had a beautiful experience with the Athens Photo Tour - the whole experience was customized to my needs. Vasili was a great person to spend the day with; he showed me how to improve my photos and taught me how to tell a story with each picture! Highly recommended. A 3-hour walking photo tour around the imposing rock of the Acropolis and the surrounding picturesque neighbourhoods. Discover some surprising hidden spots of the city and use them as your photo settings. Apply valuable techniques and tips and tricks that will make your photos to stand out. Explore the historical city centre of Athens and take snaps that will properly reflect your experience in the city. 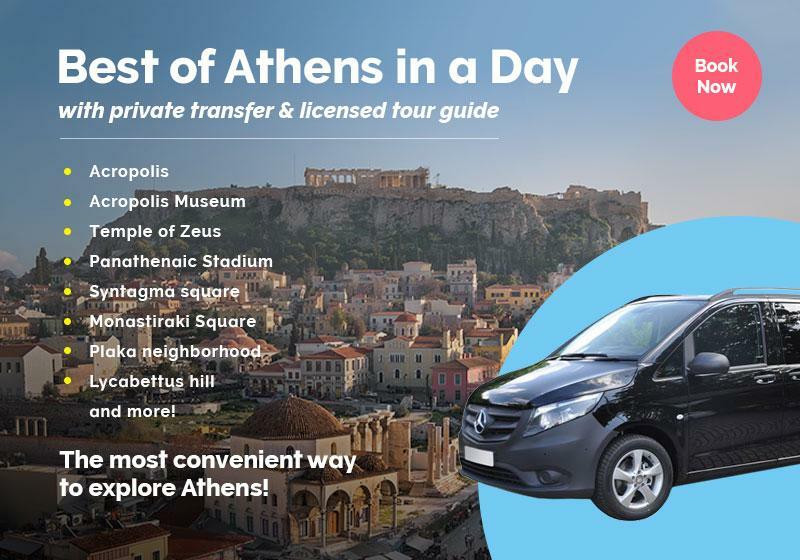 Start from Dionysiou Areopagitou Str., the impressive Athenian Grand Promenade and witness first hand the delicate neoclassical buildings that flank the walls of the Acropolis. Listen to the instructions of your photographer and find out how to properly take advantage of the bright Athenian light and decide on the composition and framing of your shots. Walk to the grounds of the impressive Odeon of Herodes the Atticus, a Roman building of the 2nd century still in use today. Explore its form and lines and experiment on architectural photography on the spot. The tall arches of the monument in combination with the surrounding natural environment offer a landscape more than just inspiring. Continue uphill and find yourselves among the trees of the hill of the Muses, a sacred forest since ancient times. Bump into hidden surprises in every corner, constantly reminding you of the glorious classical past of the city and reach the monument of Philopappos, a mausoleum built at the top of the hill. As a beacon of a past era, the monument offers a spectacular view to the site of the Acropolis with all its glorious buildings, starring the striking temple of the Parthenon. It’s now time to take your “wow” Athens photos! Follow the steps of your experienced photographer and visit some of the most picturesque neighbourhoods of the city. Plaka -the oldest district of Athens- with its little neoclassical houses and its tranquil atmosphere will definitely put a spell on you. Wander around its streets and find your way to the secret tiny neighbourhood of Anafiotika. Discover how a Cycladic island with its iconic white and blue houses exists literally hinged on the walls of the Acropolis and continue your walk to Thission, where the temple of Hephaestus is located. With one of the most well-preserved temples of antiquity, Thission offers you the chance to think out of the box and take some really impressive pictures. Review your shots with your photographer over a coffee break at a nearby lovely café and reflect on your wandering around Athens through your sophisticated photographs! A 3-hour walking photo workshop in the very city centre of Athens. Your own professional photographer to guide you. Any personal purchases, food or drinks. Can I have this tour in the afternoon or evening? This tour is offered as private, thus deciding on the starting time or location is something we can arrange for sure. For more info please send us an e-mail at and we will reply to you shortly. What kind of camera should I bring with me? Do you provide any equipment? For this tour, you are going to need ideally a DSLR or Mirrorless camera but a high-end compact camera is more than fine. For those that will choose to use their mobile camera, it’s an excellent opportunity to focus on framing and composition. This walking tour does not include any equipment. Tripods or any other non-hand-carried photo equipment are not allowed near or inside archaeological sites by law. HOW MANY KIDS BELOW 10 Y.O.